Location: Rochester, NY Just wondering if anybody here has recently replaced theirs? Where they got it and any tips on installing. Mine's a 2 door hardtop. What looks like the original weatherstrip is still there but all dried out and falling off. The doors rattle because it's so bad. I've heard that some of the reproduction weatherstrip is too big/too dense? Would like to avoid dealing with those problems. Anyone that can help guide me to a smooth purchase and install would be much appreciated. Thank you! mopar direct on ebay charges 70$ for a 2 door hard top set..
some people complained about Garys being to stiff. 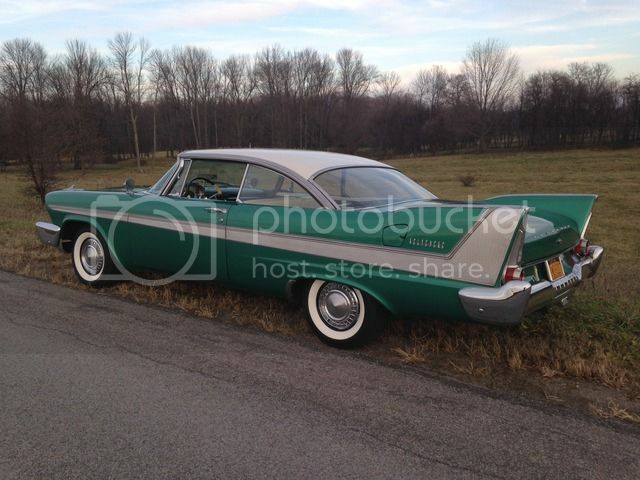 I know others say buy a 57 chevy but thats a different profile. i would just get the ebay ones. kanter is like 70$ a set also but I think people complained about that one also. there's also clesters, you want the 55-62 stuff, its the same and you can get the price is one of the best, go for them or the ebay set. I would find out if they have a 2 door optio. Location: milano, italy I had ordered a set of ebay door w/s, and got them from Bernbaum ( i think it was him). While good quality, they were too large and prevented doors to close properly. Got a chance to get those from Gary Goers, and they are perfect, doors close right.